Look out, Bring A Trailer: there’s a new (well, old) kid on the block ready to sell the over-moneyed masses their next pristinely kept Nissan 300ZX. RM Sotheby’s, the auction house more known for offering incredibly rare Ferraris, will be auctioning 140 cars in a series of events next year as part of their “Youngtimer” Dream Garage series. Welcome to the era of rad in car auctions. The cars at this upcoming auction all hail from the ’80s, ’90s and early 2000s. Yup, someone clued in Sotheby’s to the unstoppable cultural force that is Radwood—or at least millennial nostalgia—and now they’re cashing in. 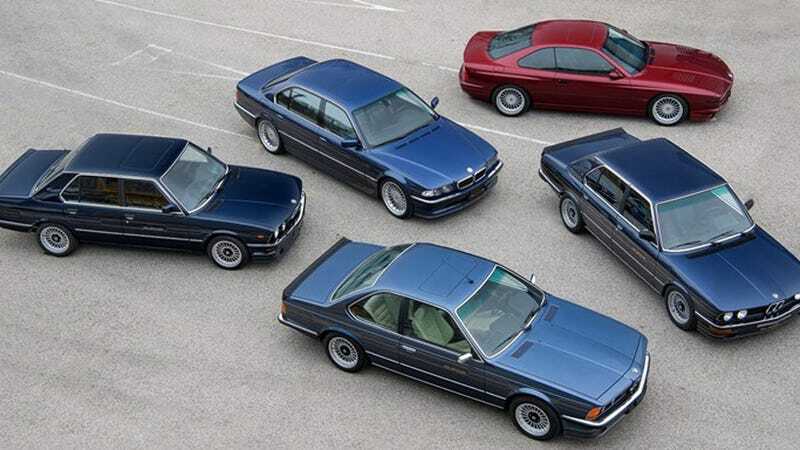 While that may mean your dreams of owning an ’80s BMW Alpina have probably slipped even further down your list of what is and isn’t possible, it does mean that the cars of the Jalopnik generation are finally getting the recognition they so richly deserve. We’ve been extolling the virtues of cars from this era for years now—they’re often analog but still powerful, comfortable, modern and until recently low in value—and now the rest of the world is figuring this out too. While the bulk of these rad autos will be sold in Europe, Sotheby’s is offering more than 30 cars here in the U.S. in 2019 at two separate auctions in Florida. Many of the lots are being offered without reserve. The Florida listing includes an Acura NSX, Toyota Supra, and a group of Nissan 300ZX examples, which Sotheby’s calls an “appreciating future collectible.” Listen, Sotheby’s: Some of us were already appreciating these cars and will continue to do so for years, regardless of what ever amount of cash these delightful little Nissans sell for. You can find out more about the auction here on Sotheby’s website.